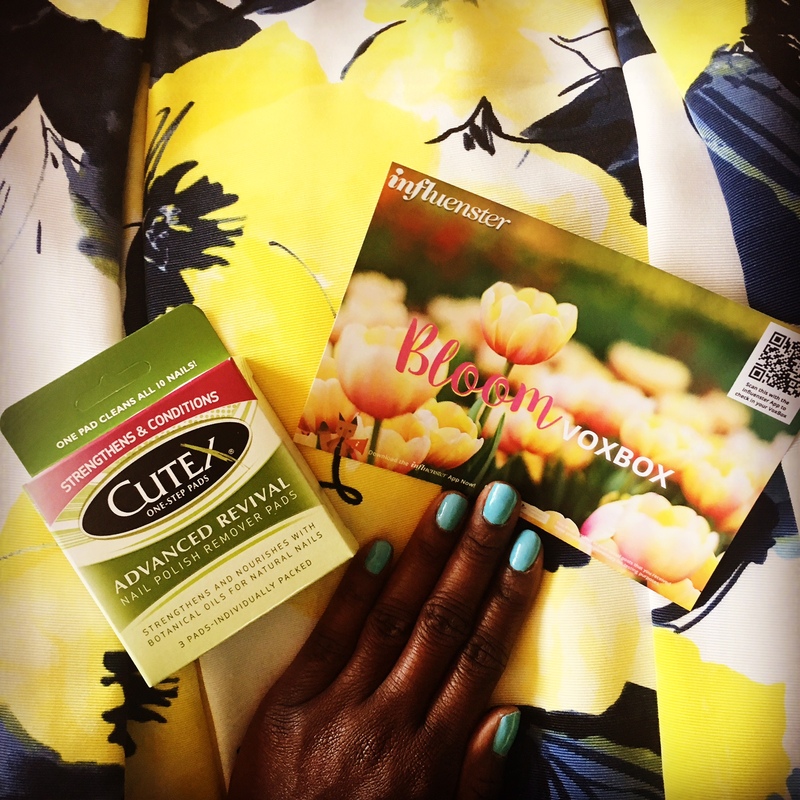 I recently received a VoxBox from Influenster to try out some new products for Spring. Included in the box was the Cutex: Advanced Revival nail polish remover pads. These could not have come at a better time because I had just made the decision to start doing my own nails at home instead of spending so much money in the nail salon each week. Before receiving this product I had never used any Cutex products. I was pleasantly surprised the nail polish remover pads had so much fabric and was very hard to tear. I first tried to tear the pad in half but it would not budge. I am used to nail polish remover pads been small and not durable. For Cutex this is not the case and I love it! You will only need one pad to remove the polish from all of your nails. My nails had four coats of polish on it and it took less than a minute to clear my first hand. I ended up having to use two pads because I became distracted on a phone call and the pad dried out. Overall, I was very pleased with this product. It was well made and effective in removing my nail polish. I would definitely purchase these in the future if I stick to my at at home manicures. Has anyone tried Cutex’s Advanced Revival nail polish remover pads? Comment on your experience below! You can head to Target to purchase them or click on the Amazon link below! Want to see this product in action? View my video using this product on my YouTube channel! I received this product complimentary from Influenster for testing purposes. This review is my own personal opinion based on my experience using the product.